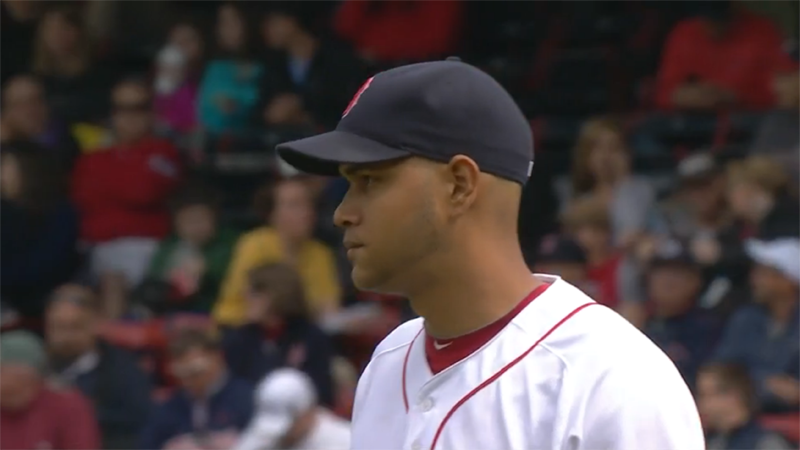 Eduardo Rodriguez displayed his excellence in front of the Fenway faithful for the first time Wednesday afternoon. The rookie almost replicated his major league debut. He didn’t make it into the eighth this time and surrendered a homer to Brian Dozier in the third inning, but otherwise he walked a pair of batters and struck out seven, just as he did in Texas. He’s on his way to becoming the best Venezuelan pitcher in the majors. Oh wait, Felix Hernandez is from Venezuela? Okay, second best. 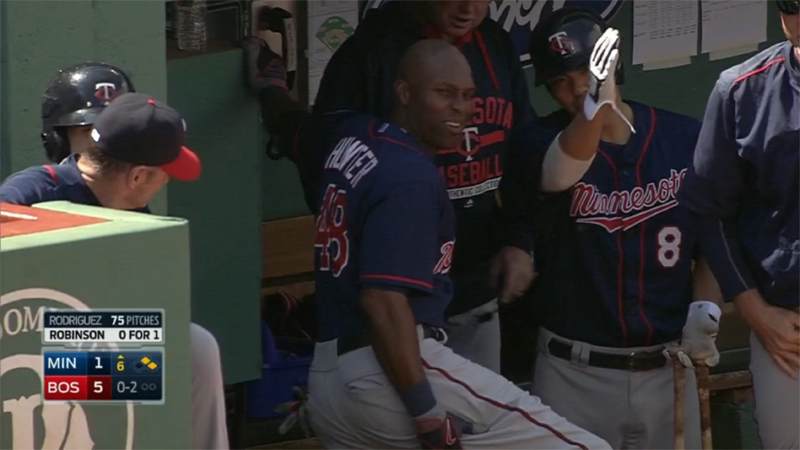 Torii Hunter got a foul ball in the back of the thigh when his teammate Shane Robinson was at bat. Kurt Suzuki helped Hunter massage his 39-year old muscle. The unintentional hit didn’t keep Hunter out of the last game of the series, which is unfortunate, as we will see. The Red Sox bats came to life. Every hitter but Mookie Betts, Sandy Leon, and Rusney Castillo had at least one hit in the game. Dustin Pedroia went 4-for-5 in the leadoff spot, scored two runs, and drove in a run. Time out of the lineup seemed to help recharge David Ortiz’s batteries. The designated hitter went 2-for-4 with an RBI. The Boston squad had a chance to return the favor of sweeping the Twins, but they would have to hope that the bats stayed hot and the pitching fresh.